What’s a trip to the Golden Isles without some ocean views? St. Simons Island and Jekyll Island are all home to restaurants on or by the water that offer a stellar combination of delicious fare and stunning views. Take advantage of our beautiful surroundings and enjoy breakfast, lunch and dinner with a side of oceanfront eye candy. Below, some of our favorite waterfront restaurants in the Golden Isles. Find gorgeous ocean views at ECHO. This St. Simons Island restaurant offers indoor and outdoor seating, both offering panoramic views of the Atlantic Ocean. The restaurant sits right on the water and the history of ECHO’s location is just as interesting and enticing as the restaurant’s menu. The name ‘ECHO’ pays homage to the island’s naval history, as the site was previously home to radar towers used to amplify signals during World War II. Today, diners enjoy one-of-a-kind seasonal specialties served at breakfast, lunch and dinner and private dining rooms available for corporate events, rehearsal dinners and more. Complete with the island’s only double-decker patio and balcony outdoor seating area, Brogen’s South offers stunning views of the St. Simons Sound while the kitchen serves up the best burgers in town. Brogen’s isn’t just the best ocean view restaurant on St. Simons - it comes with a story, too! Once a bait, tackle and breakfast shop, this restaurant has grown from a quaint local hang out to an island staple for locals and visitors alike. The best part is it’s only a short walk to the St. Simons pier or the beach off of Neptune Park, making it a prime location for enjoying the island’s natural beauty! Steps away from the beach, Jekyll Island’s Beach House offers expansive views of the Atlantic Ocean alongside sandwiches, pastas and fresh seafood (and don’t forget to try the Beach House Tower Chocolate Cake!). With patio seating complemented by an outdoor fireplace, lawn games and live music, this restaurant provides a quintessential Golden Isles ambiance all year long. Stop by for breakfast, lunch, dinner or to simply relax with a craft beer in hand - there are 24 on tap! A local favorite, The Wharf is located on Jekyll Island’s Historic District Pier. This waterfront restaurant features indoor and outdoor seating—both of which offer stunning water views. 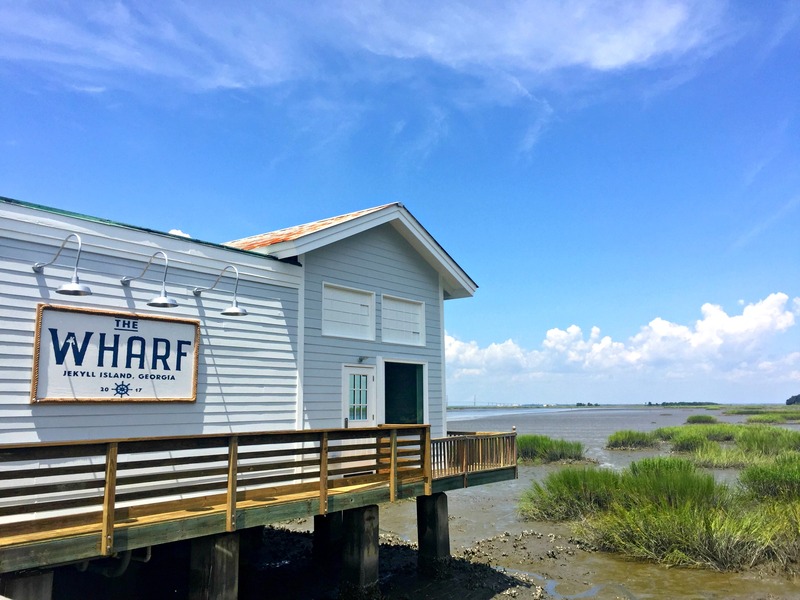 The Wharf serves up Southern favorites like Louisiana Gumbo and Low Country Crab Dip and offers a kid’s menu for the little ones. Guests enjoy live music four nights a week (seasonal) and a coastal, casual vibe that is uniquely Jekyll Island. This restaurant is not to be missed! 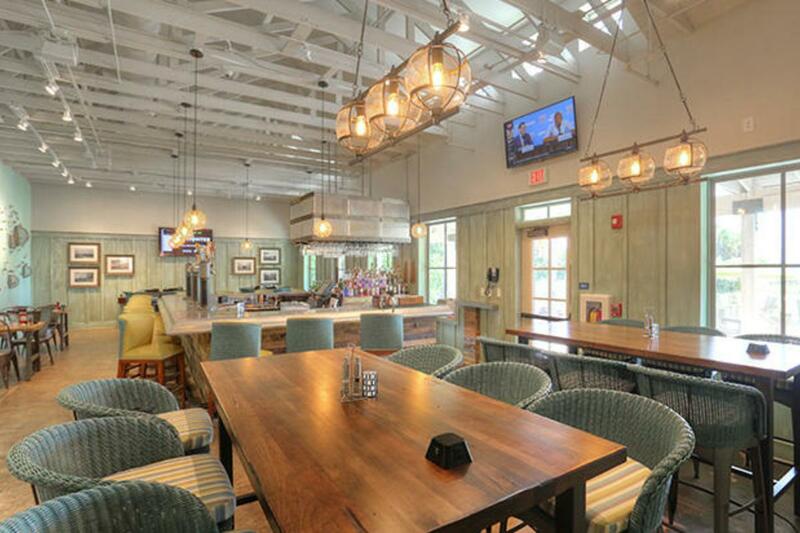 A brand new restaurant at the brand new Jekyll Island Resort property, the Jekyll Ocean Club, Eighty Ocean Kitchen and Bar features down-home Southern coastal cuisine including breakfast, lunch, small bite and dinner specialties. Try the Peaches ‘n’ Cream Waffles, Pickle Brined Chicken, Stuffed Green Tomatoes or Snapper Ceviche in their indoor dining space or on their patio, which is completed with glorious views of the Atlantic Ocean. Finish your night with a specialty cocktail and a scoop of Wood-Fired Peach-Blackberry Crumble to the soundtrack of live music on the weekends to complete your oceanside experience. Find even more waterfront or waterview dining throughout the Golden Isles including The Rooftop at Ocean Lodge or Coastal Kitchen on St. Simons Island, The Reserve or Zachary’s Riverhouse on Jekyll Island, and Marshside Grill on Brunswick.